Note cards are 5.5 inches wide by 4.5 inches tall. Click here to return to our Misc. Items page. 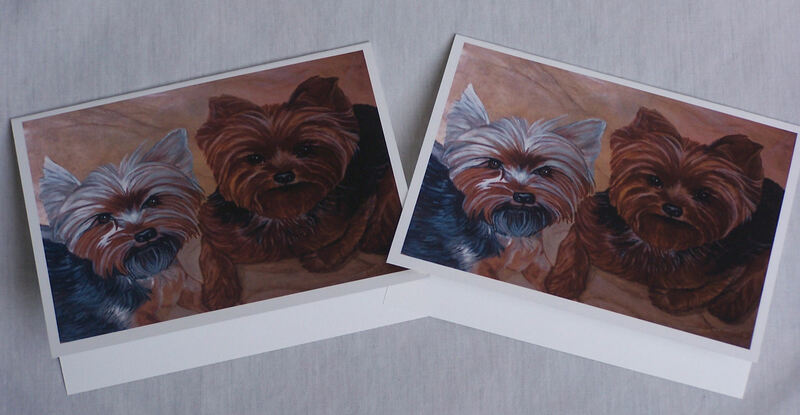 Yorkie blank note cards with envelopes. Each packet contains 5 blank cards and envelopes.